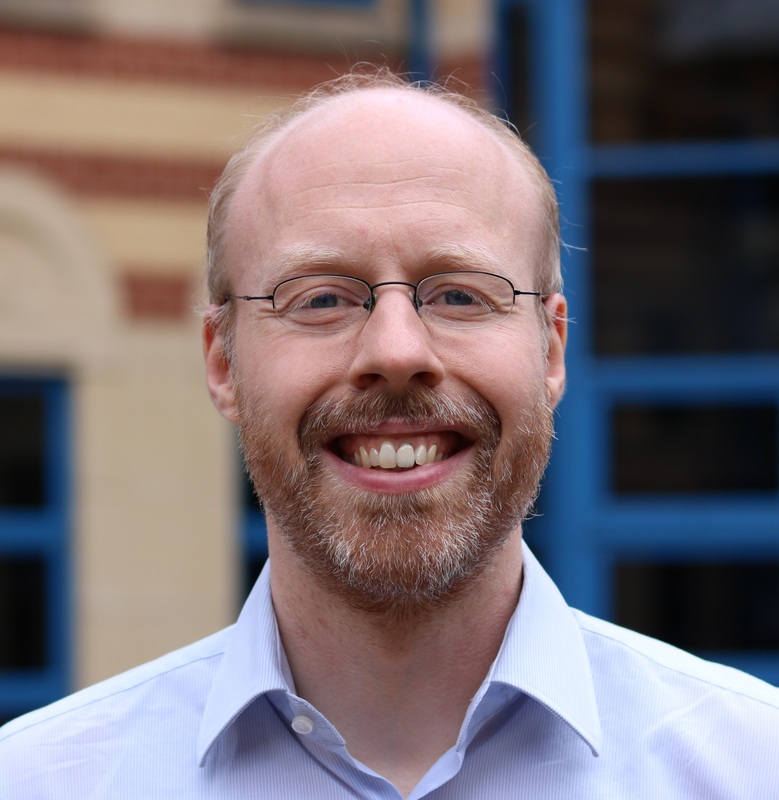 I am a Senior Lecturer at the University of Sheffield in the Department of Computer Science, heading the newly established Algorithms research group. Before coming to Sheffield, I obtained my Diplom and my Ph.D. from the Technische Universität Dortmund under the supervision of Prof. Ingo Wegener. I have held postdoc positions at the International Computer Science Institute (ICSI) in Berkeley, California, in the group of Prof. Richard M. Karp as well as the University of Birmingham, working with Prof. Xin Yao in the SEBASE project. I am interested in randomized algorithms, algorithmic analysis, and combinatorial optimization. My main expertise is the analysis of randomized search heuristics such as evolutionary algorithms, hybridizations with local search, and ant colony optimization. Spring term 2019: COM1009 Introduction to Algorithms and Data Structures. Spring term 2018: COM1009 Introduction to Algorithms and Data Structures. Autumn term 2017: COM1006 Devices and Networks. Spring term 2017: COM1009 Introduction to Algorithms and Data Structures. Autumn term 2016-17: Devices and Networks, module codes COM1006, COM1090. Spring term 2016: COM1009 Introduction to Algorithms and Data Structures. Autumn term 2015-16: Devices and Networks, module codes COM1006, COM1090. Spring term 2015: COM1009 Introduction to Algorithms and Data Structures. Autumn term 2014-15: Devices and Networks, module codes COM1006, COM1090. Autumn term 2013-14: Devices and Networks, module codes COM165, COM1006, COM1090. Autumn term 2012-13: Devices and Networks, module codes COM165, COM1006, COM1090. I was elected Teacher of the Year 2018 in a student vote, for the third time in a row. Many thanks to all students who voted for me. I was chairing the Theory Track at GECCO 2017 with Carola Doerr. Selected papers were published in a special issue in Algorithmica. I am co-chairing the 14th ACM/SIGEVO Workshop on Foundations of Genetic Algorithms (FOGA XIV) with Christian Igel and Carsten Witt. I was chairing the Theory Track at GECCO 2016 with Timo Kötzing. Selected papers were published in a special issue in Algorithmica. I was co-organising the 9th Theory of Randomised Search Heuristics (ThRaSH 2015) workshop in Sheffield, September 11-12, 2015. I'm now serving as Associate Editor for Natural Computing. I was serving as GECCO 2015 Late-Breaking Abstracts Chair. I have given my tutorial Theory of Swarm Intelligence at GECCO 2016. I have given a tutorial on Theory of Parallel Evolutionary Algorithms at PPSN 2014 and at PPSN 2016. Pietro S. Oliveto and Dirk Sudholt: On the Runtime Analysis of Stochastic Ageing Mechanisms (Best Paper Award of 'Artificial Immune Systems'). Andrea Mambrini and Dirk Sudholt: Design and Analysis of Adaptive Migration Intervals in Parallel Evolutionary Algorithms (Best Paper Award of 'Parallel Evolutionary Systems'). I have given a course on Theory of Randomised Search Heuristics at the Midlands Graduate School 2014 with Per Kristian Lehre, Pietro Oliveto, and Christine Zarges. Feel free to access the course materials. Dirk Sudholt (2019): The Benefits of Population Diversity in Evolutionary Algorithms: A Survey of Rigorous Runtime Analyses. In Benjamin Doerr and Frank Neumann (Eds. ): Theory of Randomized Search Heuristics in Discrete Search Spaces, to be published by Springer. Dirk Sudholt (2015): Parallel Evolutionary Algorithms. In Janusz Kacprzyk and Witold Pedrycz (Eds. ): Handbook of Computational Intelligence, Springer. Dirk Sudholt (2012): Parametrization and Balancing Global and Local Search. In F. Neri, C. Cotta, and P. Moscato (Eds. ): Handbook of Memetic Algorithms, Studies in Computational Intelligence, Vol. 379, ISBN 978-3-642-23246-6, Springer. Dirk Sudholt (2011): Memetic Evolutionary Algorithms. In A. Auger, B. Doerr (Eds. ): Theory of Randomized Search Heuristics - Foundations and Recent Developments, Series on Theoretical Computer Science 1, ISBN: 978-981-4282-66-6, World Scientific. Frank Neumann, Dirk Sudholt, and Carsten Witt (2009): Computational Complexity of Ant Colony Optimization and its Hybridization with Local Search. L.C. Jain, S. Dehuri, CP Lim (Eds. ): Innovations in Swarm Intelligence, SGI 248, ISBN: 978-3-642-04224-9, Springer. To appear in Evolutionary Computation. On the Analysis of Trajectory-Based Search Algorithms: When is it Beneficial to Reject Improvements? IEEE Transactions on Evolutionary Computation 22(3), pages 484-497. Evolutionary Computation 25(4), pages 673-705. Evolutionary Computation, 25(2), pages 237-274. Evolutionary Computation, 25(2), pages 205-236. Journal of Theoretical Biology, Volume 383, pages 28-43. Evolutionary Computation, 23(3), pages 559-582. Theoretical Computer Science, Volume 605, pages 1-20. Theoretical Computer Science, Volume 551, pages 66-83. Evolutionary Computation, 22(3), pages 405-437. IEEE Transactions on Software Engineering, 40(1), pages 83-102. Theoretical Computer Science, Volume 545, pages 20-38. Soft Computing, 17(7), pages 1121-1144. IEEE Transactions on Evolutionary Computation, 17(3), pages 418-435. Mutation Rate Matters Even When Optimizing Monotone Functions. Evolutionary Computation, 21(1), pages 1-21. A Simple Ant Colony Optimizer for Stochastic Shortest Path Problems. Running Time Analysis of Ant Colony Optimization for Shortest Path Problems. Journal of Discrete Algorithms, Volume 10, January 2012, pages 165-180. Runtime analysis of the 1-ANT ant colony optimizer. Theoretical Computer Science, 412(17), 1629-1644. Hybridizing Evolutionary Algorithms with Variable-Depth Search to Overcome Local Optima. Runtime Analysis of a Binary Particle Swarm Optimizer. Theoretical Computer Science, 411(21), 2084-2100. A Self-stabilizing Algorithm for Cut Problems in Synchronous Networks. Theoretical Computer Science, 411(14-15), 1599-1612. Analysis of an Asymmetric Mutation Operator. Analysis of Diversity-Preserving Mechanisms for Global Exploration. The Impact of Parametrization in Memetic Evolutionary Algorithms. Theoretical Computer Science, 410(26), 2511-2528. Analysis of different MMAS ACO algorithms on unimodal functions and plateaus. Accepted for Genetic and Evolutionary Computation Conference (GECCO 2019). ACM. Parallel Problem from Nature (PPSN 2018). Springer, pages 207-219. Proceedings of the Genetic and Evolutionary Computation Conference (GECCO 2018). ACM Press, pages 1523-1530. Proceedings of the Genetic and Evolutionary Computation Conference (GECCO 2018). ACM Press, pages 1499-1506. Proceedings of the Genetic and Evolutionary Computation Conference (GECCO 2018). ACM Press, pages 929-936. Nominated for a best paper award in the track 'Genetic Algorithms'. Proceedings of the Genetic and Evolutionary Computation Conference (GECCO 2018). ACM Press, pages 1071-1078. Proceedings of the Genetic and Evolutionary Computation Conference (GECCO 2017). ACM Press, pages 857-864. Proceedings of the Genetic and Evolutionary Computation Conference (GECCO 2017). ACM Press, pages 553-560. When is it Beneficial to Reject Improvements? Proceedings of the Genetic and Evolutionary Computation Conference (GECCO 2017). ACM Press, pages 1391-1398. Proceedings of Foundations of Genetic Algorithms (FOGA 2017). ACM Press, pages 55-63. Proceedings of Parallel Problem Solving from Nature (PPSN 2016). Springer, pages 890-900. Nominated for a best paper award. Proceedings of the Genetic and Evolutionary Computation Conference (GECCO 2016). ACM Press, pages 645-652. Proceedings of the Genetic and Evolutionary Computation Conference (GECCO 2016). ACM Press, pages 1163-1170. Proceedings of the Genetic and Evolutionary Computation Conference (GECCO 2016). ACM Press, pages 61-68. Nominated for a best paper award in the track 'Ant Colony Optimization and Swarm Intelligence'. Proceedings of the Genetic and Evolutionary Computation Conference (GECCO 2016). ACM Press, pages 669-676. Proceedings of the Genetic and Evolutionary Computation Conference (GECCO 2015). ACM Press, pages 1455-1462. Proceedings of the Genetic and Evolutionary Computation Conference (GECCO 2015). ACM Press, pages 1399-1406. Proceedings of Foundations of Genetic Algorithms (FOGA 2015). ACM Press, pages 3-15. Parallel Problem Solving from Nature (PPSN 2014). LNCS 8672, Springer, pages 932-941. Parallel Problem Solving from Nature (PPSN 2014). LNCS 8672, Springer, pages 892-901. Proceedings of the Genetic and Evolutionary Computation Conference (GECCO 2014). ACM Press, pages 1047-1054. Best paper award in the track 'Parallel Evolutionary Systems'. Proceedings of the Genetic and Evolutionary Computation Conference (GECCO 2014). ACM Press, pages 113-120. Best paper award in the track 'Artificial Immune Systems'. Proceedings of the Genetic and Evolutionary Computation Conference (GECCO 2014). ACM Press, pages 807-814. Proceedings of the Genetic and Evolutionary Computation Conference (GECCO 2013). ACM press, pages 1445-1452. When Do Evolutionary Algorithms Optimize Separable Functions in Parallel? Proceedings of the twelfth Workshop on Foundations of Genetic Algorithms (FOGA 2013). ACM Press, pages 51-64. Parallel Problem Solving from Nature (PPSN 2012). LNCS 7491, Springer, pages 11-20. Proceedings of the Genetic and Evolutionary Computation Conference (GECCO 2012). ACM press, pages 649-656. Best paper award in the track 'Genetic Algorithms'. Proceedings of the Genetic and Evolutionary Computation Conference (GECCO 2012). ACM press, pages 1221-1228. Proceedings of the Genetic and Evolutionary Computation Conference (GECCO 2012). ACM press, pages 689-696. Proceedings of the Genetic and Evolutionary Computation Conference (GECCO 2012). ACM press, pages 1349-1356. Nominated for a best paper award in the tracks 'Theory/ESEP'. Proceedings of the 22nd International Symposium on Algorithms and Computation (ISAAC 2011). LNCS 7074, Springer, pages 405-414. Proceedings of the Genetic and Evolutionary Computation Conference (GECCO 2011). ACM Press, pages 989-996. Proceedings of the Genetic and Evolutionary Computation Conference (GECCO 2011). ACM press, pages 1587-1594. Proceedings of the 11th Workshop on Foundations of Genetic Algorithms (FOGA 2011). ACM Press, pages 209-218. Proceedings of the 11th Workshop on Foundations of Genetic Algorithms (FOGA 2011). ACM Press, pages 181-192. Proceedings of the 11th Workshop on Foundations of Genetic Algorithms (FOGA 2011). ACM Press, pages 139-150. Proceedings of the 21st International Symposium on Algorithms and Computation (ISAAC 2010). LNCS 6506, Springer, pages 340-352. Parallel Problem Solving from Nature (PPSN 2010). LNCS 6238, Springer, pages 224-233. Parallel Problem Solving from Nature (PPSN 2010). LNCS 6238, Springer, pages 42-51. Parallel Problem Solving from Nature (PPSN 2010). LNCS 6238, Springer, pages 234-243. Parallel Problem Solving from Nature (PPSN 2010). LNCS 6238, Springer, pages 124-133. The Benefit of Migration in Parallel Evolutionary Algorithms. Proceedings of the Genetic and Evolutionary Computation Conference (GECCO 2010). ACM Press, pages 1105-1112. Ant Colony Optimization for Stochastic Shortest Path Problems. Proceedings of the Genetic and Evolutionary Computation Conference (GECCO 2010). ACM Press, pages 1465-1472. Nominated for a best paper award in the track 'Theory'. A Few Ants are Enough: ACO with Iteration-Best Update. Proceedings of the Genetic and Evolutionary Computation Conference (GECCO 2010). ACM Press, pages 63-70. Nominated for a best paper award in the track 'ACO/Swarm Intelligence'. Engineering Stochastic Local Search Algorithms (SLS 2009). LNCS 5752, Springer, pages 76-91. Rigorous Analyses for the Combination of Ant Colony Optimization and Local Search. Proceedings of the Sixth International Conference on Ant Colony Optimization and Swarm Intelligence (ANTS 2008). LNCS 5217, Springer, pages 132-143. Self-stabilizing Cuts in Synchronous Networks. Proceedings of the 15th International Colloquium on Structural Information and Communication Complexity (SIROCCO 2008). LNCS 5058, Springer, pages 234-246. Runtime Analysis of Binary PSO. Proceedings of the Genetic and Evolutionary Computation Conference (GECCO 2008). ACM Press, pages 135-142. Memetic Algorithms with Variable-Depth Search to Overcome Local Optima. Proceedings of the Genetic and Evolutionary Computation Conference (GECCO 2008). ACM Press, pages 787-794. Nominated for a best paper award in the track 'Formal Theory'. Theoretical Analysis of Diversity Mechanisms for Global Exploration. Proceedings of the Genetic and Evolutionary Computation Conference (GECCO 2008). ACM Press, pages 945-952. Comparing Variants of MMAS ACO Algorithms on Pseudo-Boolean Functions. Engineering Stochastic Local Search Algorithms (SLS 2007). LNCS 4638, Springer, pages 61-75. On the Runtime Analysis of the 1-ANT ACO Algorithm. Proceedings of the Genetic and Evolutionary Computation Conference (GECCO 2007). ACM Press, pages 33-40. Best paper award in the track 'Ant Colony Optimization, Swarm Intelligence, and Artificial Immune Systems'. Local Search in Evolutionary Algorithms: the Impact of the Local Search Frequency. In Tetsuo Asano (Ed. ): Proceedings of the 17th International Symposium on Algorithms and Computation (ISAAC 2006). LNCS 4288, Springer, pages 359-368. On the Analysis of the (1+1) Memetic Algorithm. In Maarten Keijzer et al. (Eds. ): Proceedings of the Genetic and Evolutionary Computation Conference (GECCO 2006). ACM Press, pages 493-500. Design and Analysis of an Asymmetric Mutation Operator. Proceedings of the IEEE Congress on Evolutionary Computation (CEC 2005). IEEE Press, pages 497-504. Crossover is Provably Essential for the Ising Model on Trees. In H.-G. Beyer et al. (Eds. ): Proceedings of the Genetic and Evolutionary Computation Conference (GECCO 2005). ACM Press, pages 1161-1167. Experimental Supplements to the Theoretical Analysis of EAs on Problems from Combinatorial Optimization. In Xin Yao et al. (Eds. ): Proceedings of the 8th International Conference on Parallel Problem Solving From Nature (PPSN VIII). LNCS 3242, Springer, pages 21-30. In Xin Yao et al. (Eds. ): Proceedings of the 8th International Conference on Parallel Problem Solving From Nature (PPSN VIII). LNCS 3242, Springer, pages 31-40.